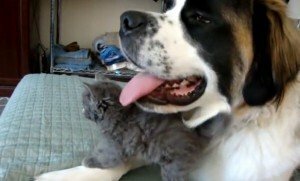 Adorable: A 4-week-old stray kitten is taken in by a family, and he immediately takes to the house’s dog Abby, a Saint Bernard with a heart of pure gold. 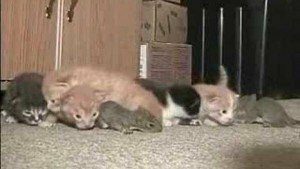 A longer video, but make sure and stay tuned for when the kitten thinks its feeding time (the cat was bottle fed). 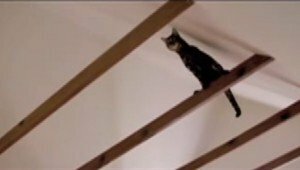 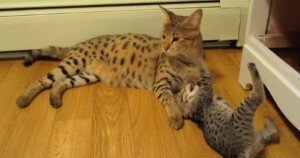 Video: A Savannah cat named Amara is having trouble with her offspring, Anolani; the kitten needs to take a bath, but refuses, so the mama cat must "force" the issue. 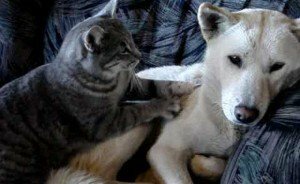 A cat named Bambi gives Jinijin, a Jindo Dog, a rubdown after a hard day of...doing what, exactly? 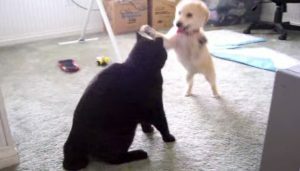 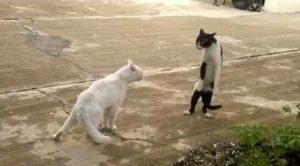 Some cats just like to play rough! 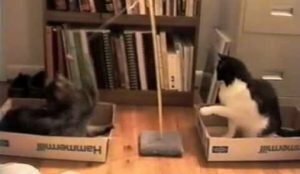 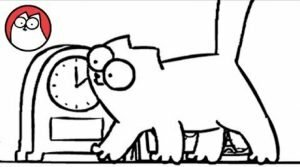 Mean Kitty shows us what's truly important! 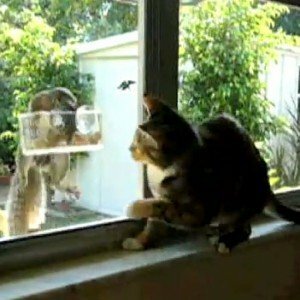 Cat And Squirrel: Why Can’t We Be Friends? 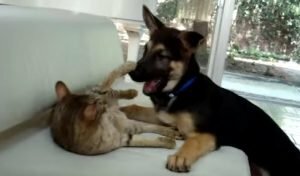 A 12-week-old puppy named Ruby plays with Spooky, an 11-year-old cat. 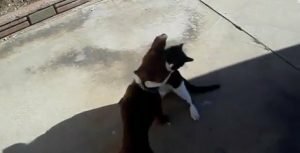 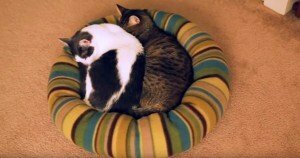 Although the owner has to break things up a couple of times, the two animals remain best of friends. 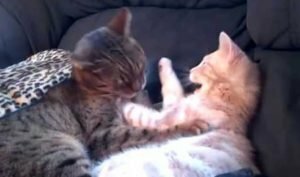 Cats Freya and Teego only met five days ago, but already they like each other...really like each other. 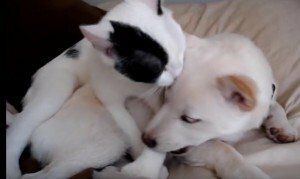 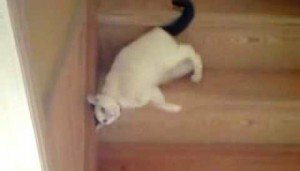 A black-and-white kitten can’t stop tackling a Dachshund and we love it. 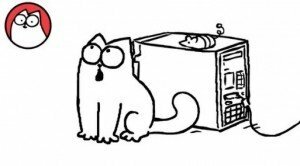 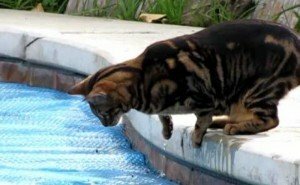 Aggressive cats can be dangerous to be around and aggressive cats are one of the many reasons it's better to keep your pet cats indoors instead of letting them roam the neighborhood.